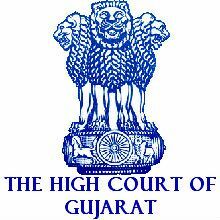 Gujarat High Court Jobs Recruitment Notification 2019.Gujarat High Court inviting applications for the positions of Civil Judges.Interested and Eligible candidates can apply for the positions. Last Date for Submission of Application is on March 01st, 2019. A prospective Candidate must possess a Degree in Law from a University recognized by law in India & - - must be practicing as an Advocate in Courts of Civil and / or Criminal Jurisdiction on the last date fixed for submission of Online Application.